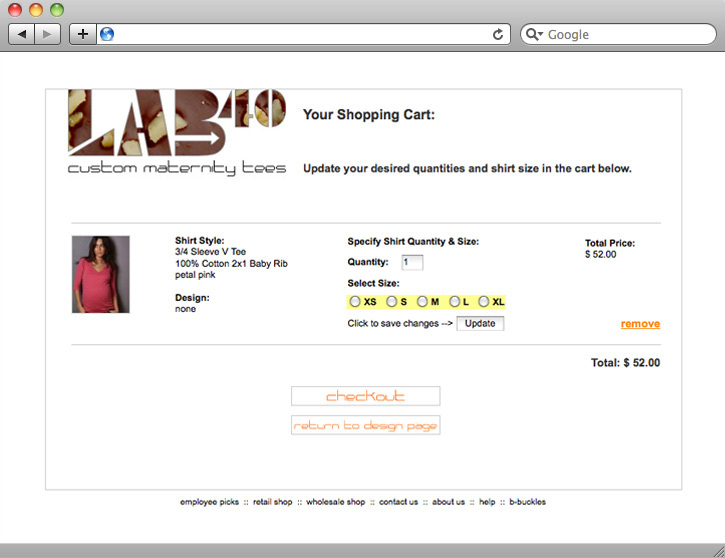 Our challenge: create a brand and logo for this online DIY custom maternity t-shirt site. Hmmm… how to encompass the creativity and uniqueness of the brand and the offering within a single logo? WackyPuppy’s solution was to fill the logo with different playful and yummy backgrounds, from mac n’ cheese to candy corn. Click on the slideshow to see what we mean. 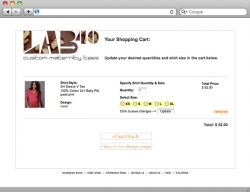 LAB40 was an early entrant into the world of online customized clothing stores, and is targeted exclusively at hip moms-to-be who don’t want to sacrifice their fashion sense or be seen with that same Gap tee all the other preggies are wearing this year. Wackypuppy designed a unique and flexible branding system and logo, as well as a custom e-commerce website that allows customers to choose from various tees and designs. We even designed many of the graphics featured in the store. Designed and implemented an interactive e-commerce website, online product customization tool and email marketing campaign for this innovative clothing designer.